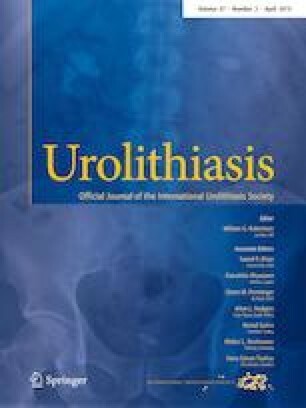 Appropriate dosing of cystine-binding thiol drugs in the management of cystinuria has been based on clinical stone activity. When new stones form, the dose is increased. Currently, there is no method of measuring urinary drug levels to guide the titration of therapy. Increasing cystine capacity, a measure of cystine solubility, has been promoted as a method of judging the effects of therapy. In this study, we gave increasing doses of tiopronin or d-penicillamine, depending on the patients’ own prescriptions, to ten patients with cystinuria and measured cystine excretion and cystine capacity. The doses were 0, 1, 2, 3 g per day, given in two divided doses, and administered in a random order. Going from 0 to 1 g/day led to an increase in cystine capacity from − 39.1 to 130.4 mg/L (P < 0.009) and decreased 24 h cystine excretion from 1003.9 to 834.8 mg/day (P = 0.039). Increasing the doses from 1 to 2 to 3 g/day had no consistent or significant effect to further increase cystine capacity or decrease cystine excretion. Whether doses higher than 1 g/day have additional clinical benefit is not clear from this study. Limiting doses might be associated with fewer adverse effects without sacrificing the benefit of higher doses if higher doses do not offer clinical importance. However, trials with stone activity as an outcome would be desirable. The Rare Kidney Stone Consortium (U54DK083908-01) is part of Rare Diseases Clinical Research Network (RDCRN), an initiative of the Office of Rare Diseases Research (ORDR), NCATS and NIDDK. This consortium is funded through collaboration between NCATS, and the NIDDK. We are also deeply grateful to Litholink for performance of urine testing. We also appreciate the continued support of the International Cystinuria Foundation, which has consistently encouraged our work. Malieckal: none; Modersitzki: none; Mara: none; Enders: none; Asplin: employee, Litholink Corp; Goldfarb: consultant, Retrophin; funding from NIDDK, NCATS.